Getting out and searching for a job in today’s climate can be daunting because of the sheer number of other applicants. The internet has made it convenient and easy for more people than ever to apply to thousands of jobs in the dental industry. Now, hiring managers have an even tougher job of sorting through hundreds of resumes for only a few open positions. You can increase your chances of getting noticed by focusing on crafting a strong resume that points out your best qualities. If you’re not sure how to do this, start by looking at what others have created and compare it to what you have on your resume. This way, you’ll be able to secure the job you’ve always wanted. Get started by looking at the selection of dental resume templates along with this writing guide. 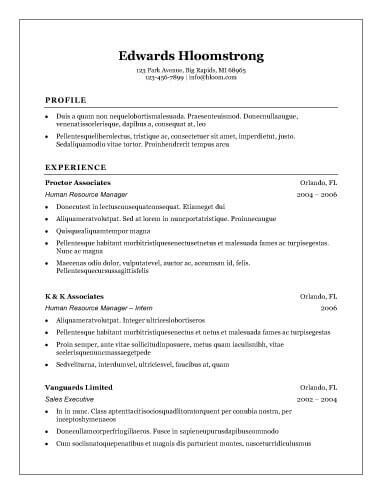 Why Use Dental Resume Templates? Successful jobseekers know that using an example resume or a series of templates can help during the initial writing stage. For jobs in the healthcare industry, it’s smart to use dental resume templates to focus your document and make it perfect for this field. You should also consider reviewing the vast number of one-page dental resume templates. 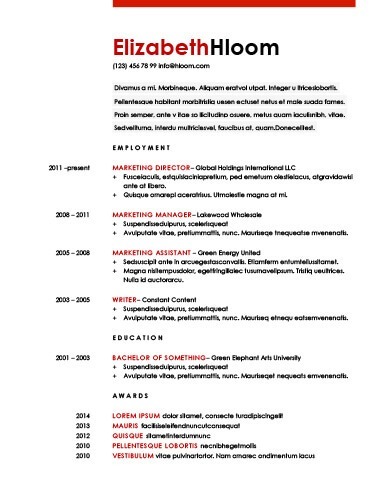 Hiring managers appreciate it when you keep all your information on one page for your resume. For those who have a short amount of experience in the industry, it is ideal to limit your information to one page. A two-page resume is best for a senior dental professional. Ultimately, you should present your resume in a professional manner. Getting a job in the dental profession can be a challenge if you don’t format your document properly. Professional dental resume templates also focus on clean designs, clear formatting, and specific details geared towards the dental field. Using a template can help you steer clear of embarrassing mistakes and layout choices. Entry-level candidates have a unique challenge when creating their resume. They must demonstrate skills and knowledge, but typically there isn’t enough experience. Your best bet is to look for dental resume templates that focus on the entry-level stage. Such examples can give you plenty of ideas about how to write up your educational and life experiences so hiring managers are sure to notice you. The look of your resume is also important to help grab hiring managers’ attention and get your name in front of the most important people. Instead of a boring, standard resume design, you may want to consider changing your resume to a contemporary style. This can help you give your resume a much-needed upgrade and new direction. Those applying for an internship should be strategic when crafting their resume for a potential position. Internship candidates should look at dental resume templates for college students or new graduates and follow the format. They’ll need to focus more on their educational achievements and essential skills instead of previous work history to gain a position with a top dental practice. If you aren’t sure how to start writing a brand new resume, try using our resume builder. With the resume builder and the dental resume templates, you’ll be quickly on your way to the path of success. Putting a resume together takes a lot of time if you want to create something that wows your next employer. Now, you can save some of your valuable time and trust the resume builder to get you closer to a great job.